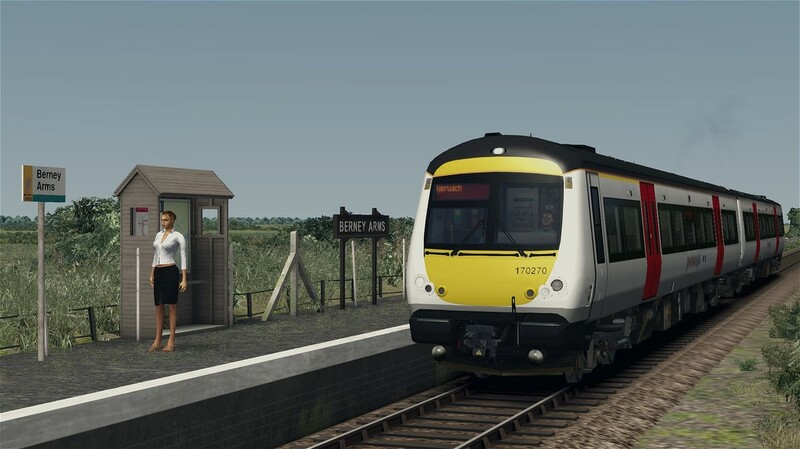 The Class 170 is a Diesel Multiple Unit built by Bombardier between 1998 and 2005. A total of 122, two or three carriage units were built in this time. 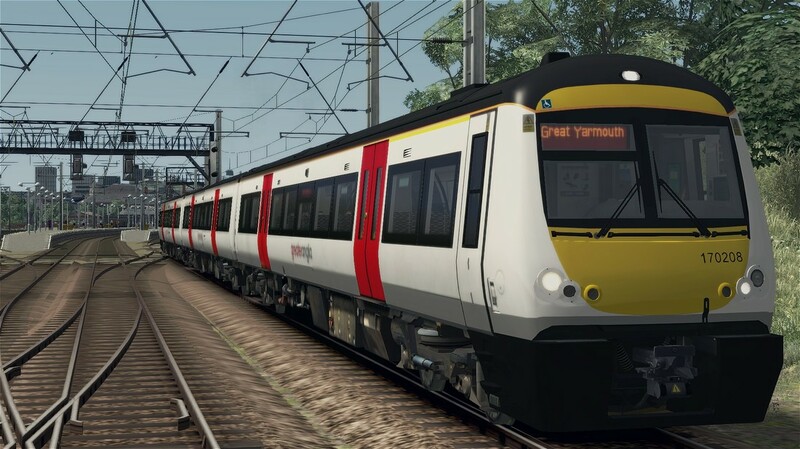 The units have a top speed of 100mph, powered by their MTU 6R 183TD13H engines, found under the floor of each 23m long carriage. The units can be found in many locations across the United Kingdom, including Scotland, the Midlands, the South, and the South East. There are twelve examples of the class in the Anglia region, all in operation with Greater Anglia. 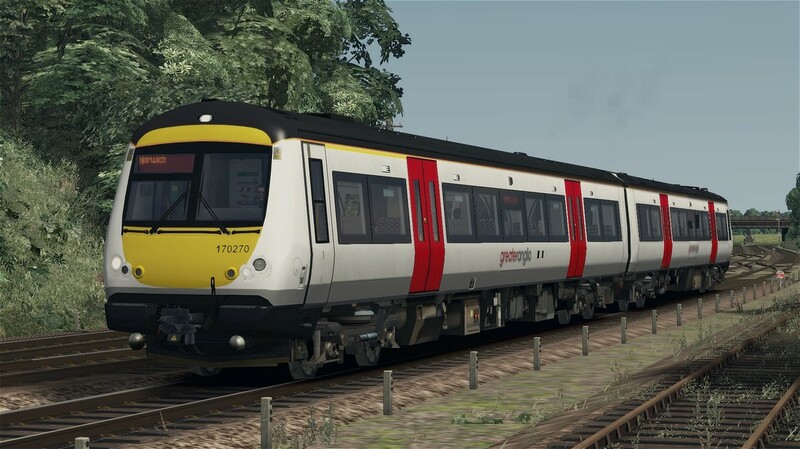 The fleet consists entirely of the Class 170/2 subclass, four in a 2 car formation, with the remaining eight in a 3 car formation. 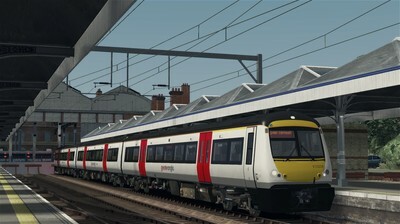 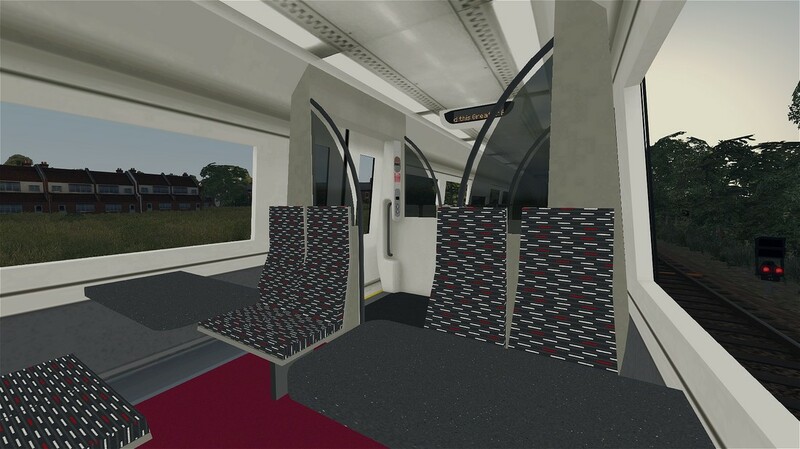 The download includes the Class 170/2 DMU, in Greater Anglia livery, including six quick-drive consists, a custom interior, new triple lights and over twenty custom destinations.